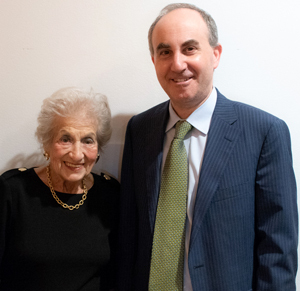 On Monday, Nov. 26, several hundred people braved the rain to attend the opening reception of Kindertransport–Rescuing Children on the Brink of War. 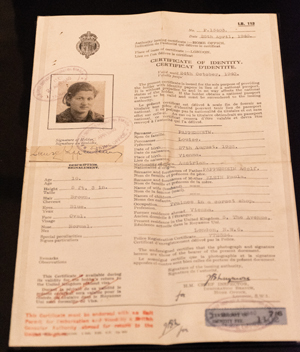 The YU Museum, in conjunction with the Leo Baeck Institute, has collected dozens of artifacts, ranging from teddy bears and letters to suitcases, games and a dress tailored for a young girl’s violin recital, along with videos and audio commentary to commemorate the massive rescue program undertaken only months after Kristallnacht in 1938 that moved 10,000 German children over the next year to safety in the United Kingdom, the only country that offered to take them in. Eisinger, who cheekily called himself a “superannuated poster child for Kindertransport children,” noted that the rescue effort “provided a ray of sunlight in the dark days that German and Austrian Jews lived through.” During his life, he has talked to many groups about how his life was irrevocably changed by the events of 1938 and 1939, and from each talk he walks away “with a renewed sense of hope” that the world will not forget the lessons of that terrible time. William Weitzer, executive director of the Leo Baeck Institute, spoke movingly about how working on this exhibition was “especially rewarding,” followed by excerpts of three letters from the Institute’s archives read by David Brown, director of programs at the Institute, and Ilona Moradof, associate director of administration and special projects at the Museum and the curator of the exhibition. The excerpts highlighted the poignant blend of domestic concerns and existential dread that suffused the lives of the children and their families. 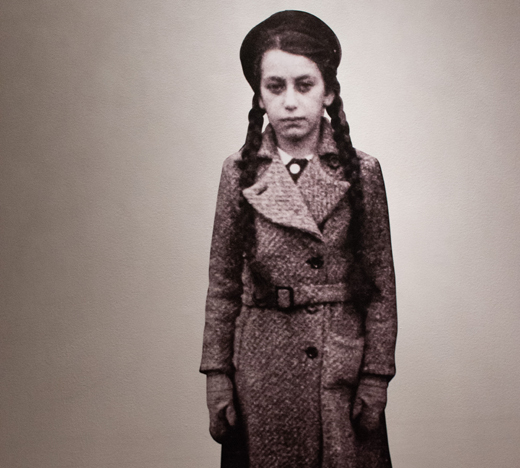 Kindertransport–Rescuing Children on the Brink of War will be on view until May 24, 2019. More information can be found at the Museum’s website. The exhibition is supported by The Azrieli Foundation, The David Berg Foundation, The Koret Foundation, The Wolfensohn Family Foundation, Temple Shalom of Scotch Plains (NJ) and by patrons and friends of Yeshiva University Museum and the Leo Baeck Institute.